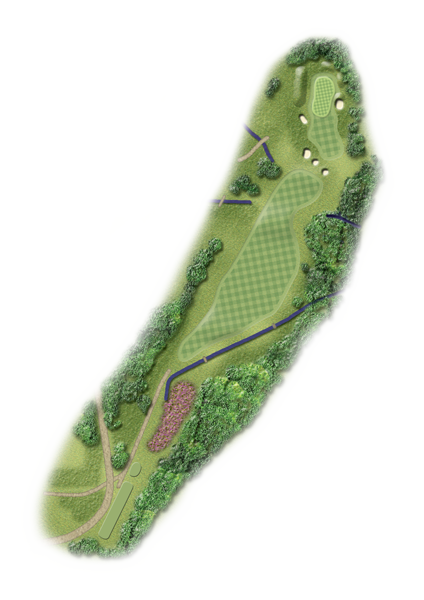 Tee shot must be just left of centre because fairway slopes from left to right as well as downhill. Not necessarily a driver off the tee. Second shot is tricky with the ball below your feet and downhill. You hit across a valley onto a two tiered green.